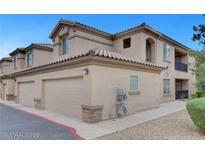 Below you can view all the condos for sale in the Terrasini At Aliante subdivision located in North Las Vegas Nevada. Listings in Terrasini At Aliante are updated daily from data we receive from the Las Vegas multiple listing service. Convenient access to shopping, restaurants & freeways. Super clean & move-in ready. 10++ MLS#2088539. Realty ONE Group, Inc.
*ideal Location Near Schools, Parks & Shopping! MLS#2086581. NextHome Community Real Estate. Catch the spirit of Aliante today! MLS#2084680. Realty ONE Group, Inc.
Ready To Move In New AC, New Water Heater & Upgraded Washer and Dryer Stays! MLS#2084288. Ornelas Real Estate. Tile flooring with carpet in bedroom only. Convenient to shopping and amenities MLS#2083011. The Mor Group. List of additional features attached! You will want this one! MLS#2081298. Urban Nest Realty. Just waiting for your personal touch! MLS#2078498. Urban Nest Realty. Perfect For You To Make It Your Own! MLS#2078252. Xtreme Realty. Enjoy mountain views from the balcony. Community pool. MLS#2076692. Platinum R.E. Professionals. Plenty of storage here with a hallway closet and separate storage area off of balcony! MLS#2076550. Maxus Real Estate. Conveniently located near 215/Decatur shopping centers! MLS#2069773. Innovative Real Estate Strateg. Corian countertops, breakfast bar, and open floorplan with a patio off the living room. Come check it out! MLS#2062782. ERA Brokers Consolidated. This is what you have been looking for! Must see! MLS#2062791. RE/MAX Excellence. Community includes pool, basketball court, volleyball court, BBQ, dog parks, several stands with bags for picking up after your dog. MLS#2061184. Realty ONE Group, Inc.
Includes washer dryer and refrigerator. Schools and shopping nearby MLS#2059523. Realty ONE Group, Inc. The Community is conveniently located by a Walmart, Costco, many Restaurants, also, right next to the 215 Hwy for Easy Access to Nellis Air Force Base. Location, Location, Location! MLS#2059464. Keller Williams Market Place. Conveniently located, only 1 block to 215 beltway, close to Costco and Target. NO SID!!!! ! MLS#2056856. Realty ONE Group, Inc.
Easy Access To 215 Beltway, Near Schools, Major Retailers, Restaurants, Businesses & Grocery Stores Nearby. MLS#2056787. Coldwell Banker Premier. Community features: outdoor pool, playground, BBQ area & more. MLS#2055760. Realty ONE Group, Inc.